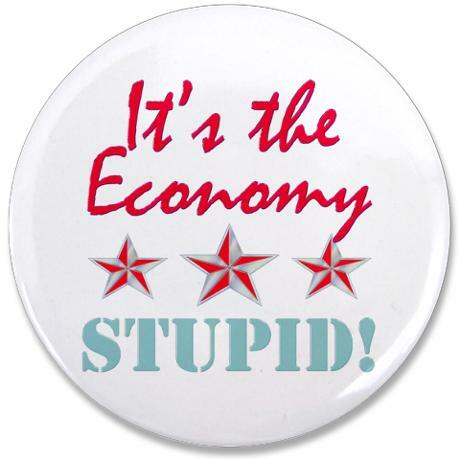 As with most elections, the Clinton dictum that “it’s the economy, stupid,” has held good in the general election of 2015 – with special emphasis this time on “stupid”. The debate about who has done or will do best in managing the economy has been even more confused and irrational than usual this time. It is often the case that “the economy” means something quite different to the voters than it does to those contesting for power. For the voters, it simply means whether they have jobs, or feel better off today than they did yesterday. Arguments over the interpretation of longer-term economic trends leave them largely unmoved. And the more bitter and divergent those arguments, and the more they depend on either side on disputed facts, the less willing and able the voters are to get involved. Ten years from now, however, it is a safe bet that much of the confusion will have cleared. We will be sufficiently distant from the hurly-burly, less engaged in partisan dispute, and better able to agree on what recent history really tells us. A consensus of informed and objective opinion as to what really happened and why will have emerged. We already know the shape of that consensus. We know because we have been here before. It took a Keynesian revolution and a Second World War before we could see clearly what had caused the Great Depression but that understanding did emerge. The ideological prejudices of those who had insisted on retrenchment as the cure for recession simply could not survive the clear light cast by unchallengeable facts. By 2025, we will have reached a similar clarity of view and analysis as to what caused the Global Financial Crisis and the consequent recession. Those who were major players – and therefore major culprits and protagonists – will have departed the scene. We will know that the GFC was the inevitable outcome of mistaken and irresponsible excesses, and of an irrational belief that markets are infallible and self-correcting. We will know that the response to the recession that inevitably followed – as the banking system teetered on the brink – made it the longest and deepest recession of modern times. We will know that British living standards fell more sharply and recovered more slowly than they need have done and were still in 2015 lower than they had been in 2007, and that austerity was a deliberate and bone-headed denial of all we had thought we had learned. So, why do we have to wait till that point when it is already clear what has happened? How can the assertion of partisan positions, unsupported by the facts, nevertheless muddy the waters to the extent that the voters of 2015 are left confused and uncertain? The answer is partly and importantly a consequence of Labour’s inexplicable failure to defend itself and its economic record and to develop a coherent argument as to what really happened and what can now be done. Labour surrendered any ability to argue an alternative economic case when it accepted that the reduction of the government’s deficit is the most important single goal of economic policy and one that it would carry into government if it were elected. That ensured that no real challenge could be offered to the Tory analysis and policy prescriptions, however mistaken and destructive they may be. It is also, however, a reflection of the Tory ability to dominate the debate agenda and to flood the news media and information sources with misleading and sustained misinformation. How else to explain that it is Labour that has to defend itself against the charge of responsibility for the Global Financial Crisis and the consequent recession – surely the definitive judgment on the errors and excesses of “free-market” economics? How else to explain that continued austerity is accepted as the only game in town? Or that George Osborne can claim to have produced “success” and “recovery”? It may be expected – even accepted – that politicians, with their reputation for cynicism, will bend the facts and tell it like it isn’t. But what to say of the role of the massed ranks of media and the establishment that urge them on in their deceptions? Are they so dedicated to their partisan interests that they are happy to see the country languish in a continued failure that looks increasingly unavoidable, as long as “their side” retains power? It does no service to the voters or to the country they live in that they should cast their votes on Thursday in deliberately engineered ignorance of the true state of affairs. Those who seek to mislead them in this way are taking huge risks with democracy as a form of government and with our future as a country. When will Labour force a crisis vote on the economy in the Commons? Posted in: Conservatives, Economy, Labour, Macroeconomics, Politics, Public Spending. I agree with Bryan Gould that obfuscation has been uppermost in treatment of the economy in this election. I am less sure that the issue is one of simply recognising “the facts” and that this will become an easy matter with a little historical distance. I also have a problem with some of the generalisations in this piece. Can we really talk about “the voters” as if they were one homogeneous group. 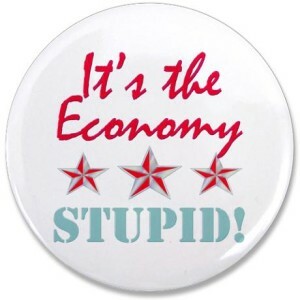 We are told that to them the economy “simply means whether they have jobs, or feel better off”. I think that there is a significant portion of the electorate who go rather further than this. It can be doubted also whether a simple return to Keynesian fundamentals is enough to understand the tribulations of capitalism. In his recently reissued book on Keynes’ ideas Geoffrey Pilling argues that Keynes concepts of the economy always remained at the surface level. Keynes had no answers to issues of the specific problems arising from the capitalist nature of the economy because, Pilling argues, he never asked questions about that. Without “effective demand” no economy (whatever type) works. It can be doubted also that capitalist crisis are just an “outcome of mistaken and irresponsible excesses” along with a belief in the self-correction of free markets. Every capitalist crisis is explained in terms of “mistakes”. Perhaps it is time to recognise that there is something more to it than that. We also need to get beyond amazement at “Labour’s inexplicable failure to defend itself and its economic record and to develop a coherent argument as to what really happened and what can now be done”. It is not inexplicable. It is because Labour does not want a debate about the economy. Ed Balls, Chuka Umunna et al to not want to spell out in any detail their ideas about the economy because to do so would shed a light on their embrace of corporate capitalism and this would be unattrative to large numbers of Labour members and supporters. BG confuses, it seems to me, underlying systemic causes and proximate causes. If someone is stabbed in the street by someone high on drugs we can explain the event by it was caused by the behavioural effects of the drugs. At another level we might want to know why that individual was on drugs in the first place (what was the cause of the cause?). But when we come to consider the event as a social issue and want to know why the incidence of such violence is increasing or decreasing then the explanation by proximate cause looses all value. Thus we can “explain” the 2007 crisis by “reckless bankers” but this doesn’t help us to understand why bankers around the world became similarly reckless at the same moment. We can try to account for this by speaking of globalisation and the dominance of the neo-liberal ideas regarding the regulation of the world financial system but even that doesn’t really do it. We can even point to sub-prime mortgages but that has about the same value as pointing to the drugs taken by the the person who does the stabbing. Why did the whole system of exotic financial derivatives become acceptable? If one blames neo-liberal views then it becomese necessary to explain the breakdown of the Keynsian connsensus which accompanied the rise of those views. That consensus was famously rejected by Jim Callaghan in his “We used to think you could spend your way out of recession and increase employment by boosting government spending” speech to Labour Conference in 1976. Why the breakdown? Surely the fact of that breakdown should give pause for thought to those, who like BG, now see the solution as a return to the plain facts and to fundamental Keynesian truths.